Michael M Halo Rings | View Authorized Retailers Shop Now! 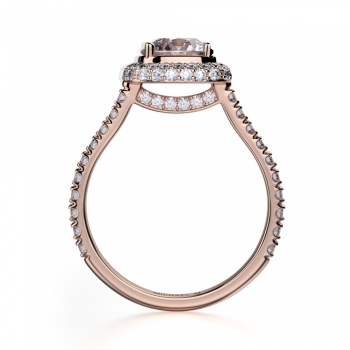 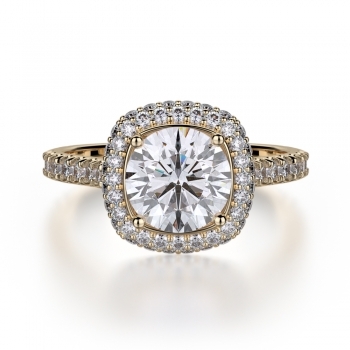 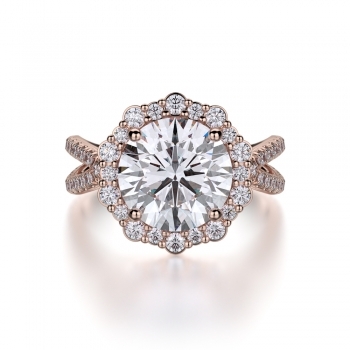 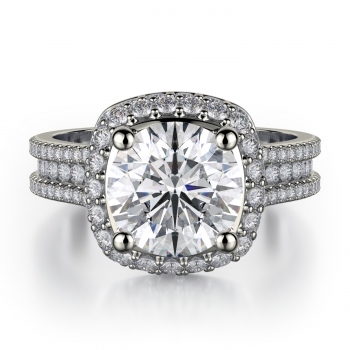 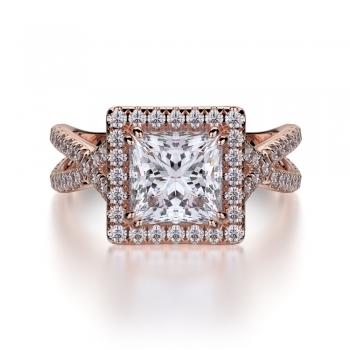 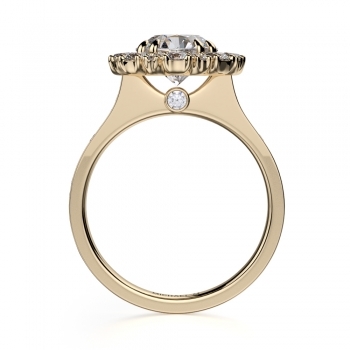 Michael M halo rings are the perfect engagement ring for your loved one. The center stone is cushioned by many tiny surrounding diamonds which add a divine illuminating effect under the light of your everlasting love. Unrestrained by the rules of conventional bridal jewelry design, the halo style engagement rings of Michael M are truly one-of-a-kind. Available at all authorized retailers, the halo rings of Michael M feature a bevy of brilliant diamonds that sensually surround the piece’s sparkling center stone. Handcrafted through a unique combination of traditional elements and chic innovative designs, the halo engagement rings of Michael M go unmatched in quality and are sure to enchant brides-to-be with their vintage-inspired embellishments and quality. Additionally, proud of their pristine work, every Michael M engagement ring confidently displays the Michel M insignia engraved on the inside every pieces’ band. 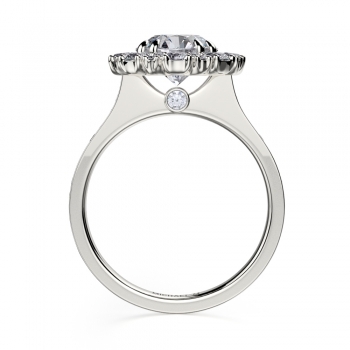 This ensures that any Michael M halo style engagement ring purchased is authentic and of the highest quality absolutely possible. 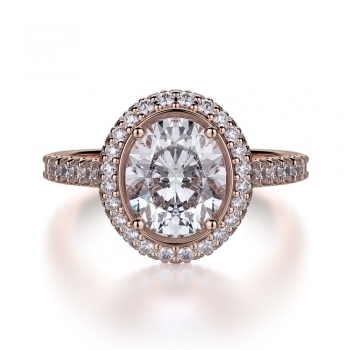 Made in Los Angeles, Michael M halo engagement rings are available today in an enormous selection of models comprising an array of amazing collections. Made with luminous 18-karat rose gold, white gold and yellow gold, and enduring 950 platinum, the halo rings of Michael M are sure to have something for any bride. For example, finding its inspiration in unforgettable Art Deco fashions, Michael M’s Bold R741-1.5, Defined R740-2, and Loud R719-1.5 feature dynamic diamond-covered haloes that are bright, spectacular, and extraordinary. 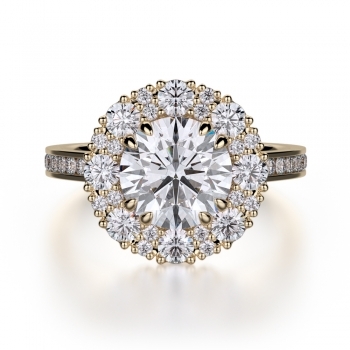 Further, for a more subtle and sophisticated look, the halo style Defined R737-20V, Bold R78-2.5, and Crown R100-2 engagement rings from Michael M are a fabulous way to bring a subtle diamond sparkle to any bride’s finger. 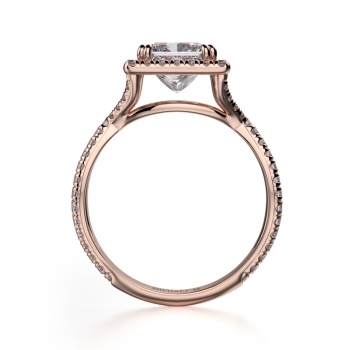 Established in 2008, the jewelry making experts of Michael M have made it their mission to create, innovate, and re-think the limitations of modern bridal and fine jewelry design. 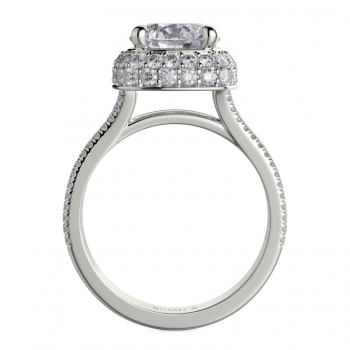 The vision of longtime designer Michael Meksian, from Michael M comes an impressive array not only halo style engagement rings, but also men’s and women’s wedding bands, diamond pendant necklaces, as well as an assortment of other fashion jewelry for the modern woman. 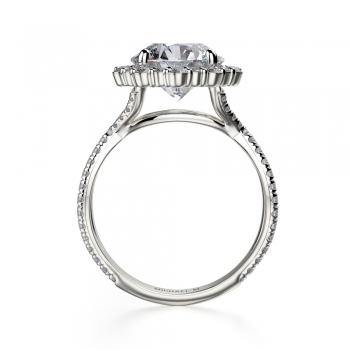 While the artisans at Michael M respect the time-established rules of the fine jewelry industry, they know that in order to “Live More,” that some traditions need to be broken. Thus, the craftsmen at Michael M design every ring to be emboldened by an array of quality diamonds that showcase the natural beauty of any piece’s center stone. For more information about the fine fashion jewelry of Michael M, please visit the “Store Locator” page today to find the authorized Michael M retailer nearest you!